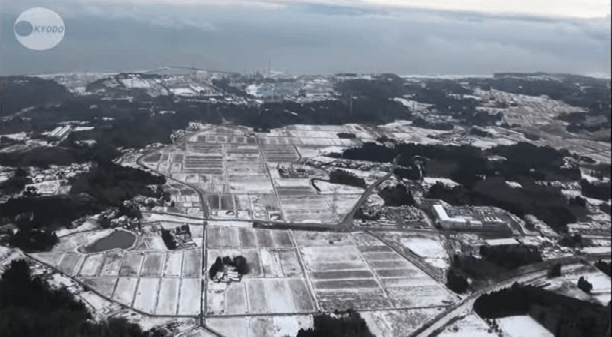 Radioacitve iodine has been detected by Japanese scientists in the thyroid glands of 80 percent of the people who used to live near the Fukushima nuclear plant. 50 of 65 residents tested were found with iodine in their thyroid glands, but 5 had dosages of more than 50 millisieverts. The team calculated the amount of radioactive iodine exposure for each resident, assuming that the residents had inhaled radioactive iodine on March 12th, just one day after the accident. Because the half-life of iodine-131 is only eight days, emissions of the isotope from the Fukushima No. 1 plant have decayed and it is no longer possible to measure the dosage residents were exposed to. The team leader, Hirosaki University Professor Shinji Tokonami, says some residents face potential health risks from the exposure, and they should have continue to have regular health checkups by professional researchers. Fukushima is currently carrying out thyroid exams on about 360,000 people aged under 18 at the time of last March’s disasters. Prefectural authorities plan to continue conducting checkups throughout their lifetimes — every two years up to age 20, and every five years afterward.